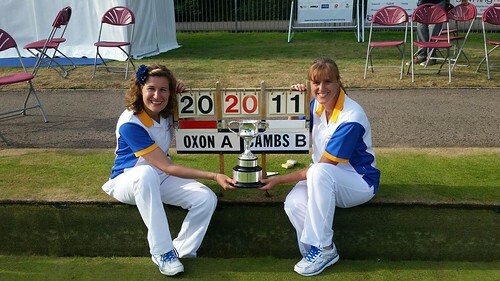 Donna Knight and Katherine Hawes have won the Bowls England Women's National Pairs Championship, sponsored by Sporting Highlights. They defeated Cambridgeshire's Linda Churchman and Cheryl Salisbury yesterday at Leamington Spa in the final by 9 shots. The duo beat Sarah Newson and Catherine Popple from Huntingtonshire in the semi final after a string of close fought games to reach the final. Hawes now just needs to win the national singles to complete her full collection of national titles. Aug 16th, 2015 by Donna.